Representative of the Wall and Settlement Resistance Committee in Bethlehem, Hassan Brejiyyeh, on Tuesday, revealed the arrival of U.S. delegations from political and tourism companies, in order to carry out investment projects in two Bethlehem settlements. In an interview with Voice of Palestine radio, Brejiyyeh said that American companies are currently investing in Israeli settlement tourism projects, specifically in the settlements of Eliazar and Efrat, which are located on lands of Palestinian citizens. 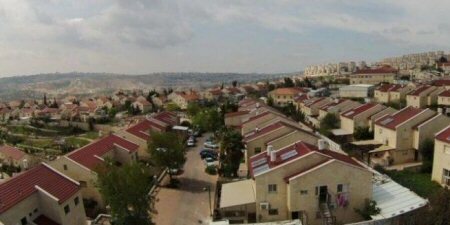 Such projects, settlement plans, construction of streets, tunnels and rail roads are part of the Israeli occupation project to establish ”Greater Jerusalem” plan and link Jerusalem to the Gush Etzion settlement, to cut the West Bank in half and seize more Palestinian land.